The second annual John Cardinal Foley Lecture on the church and social communications will be held Monday, Jan. 26 at 7 p.m. in Vianney Hall at St. Charles Borromeo Seminary. The presenter is veteran journalist on Vatican affairs John Allen, currently associate editor at the Boston Globe and Cruxnow.com. 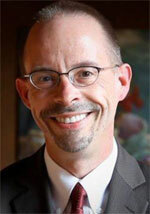 The lecture is sponsored by the seminary’s John Cardinal Foley Chair, whose mission is to support the work of the Catholic Church in the realm of social communications by teaching seminary students and church groups, working with staff in parishes and dioceses, and engaging in dialogue with journalists and media professionals. The seminary is located at 100 East Wynnewood Road in Wynnewood. Call 610-785-6530 for more information on the lecture.